The Savvy Stamper: Coffee, Anyone? Good evening! I hope everyone is settling back into their school routines. We've been trying, and then my son came down with strep throat. However, he's back to school tomorrow! This is a little bit how I look in the mornings...she's just a lot cuter! This is my first time making a tag card. There were probably instructions somewhere, but I kind of just winged it. I used the Coffee Kiki La Rue from the Paper Jewels store. I thought the tag could be removed to be a bookmark too. I used SCS sketch sc06 for this card. I colored the CC Designs image in with Copics and highlighted with an opaque white pen. The tag was made with a nestabilities die. I used materials I received in a card kit for most of the card, and added SU cardstock in Pixie Pink. 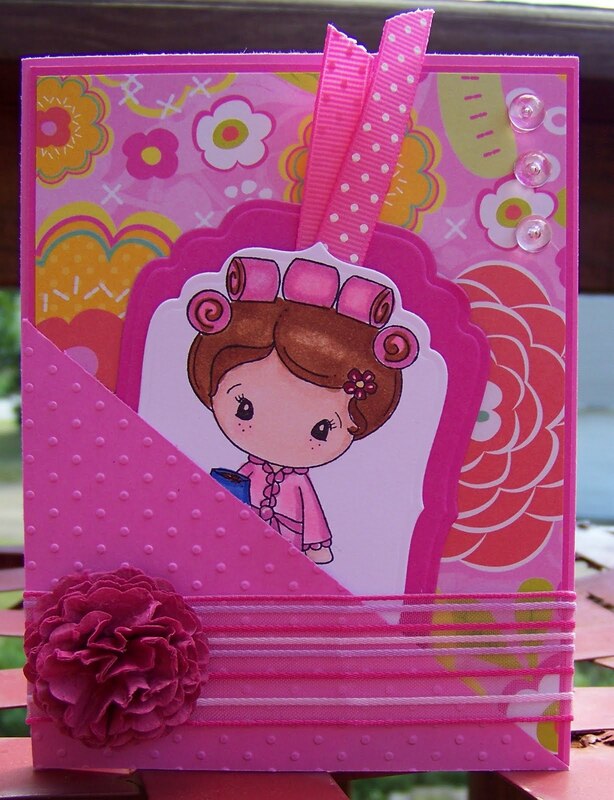 I also used a Cuttlebug embossing folder in swiss dots. Ooh, Colleen, she is such a cutie! Fabulous coloring and I just love the bright, bright colors! Awesome tag card! I love the idea of using the tag for a book mark. Awwww! This is too cute! This is soooo cute....love the colors and your coloring is looking amazing!! WOW girl, super amazing, this is great, esp for winging it. I love your coloring!! So cute!! I really need to make one of these! 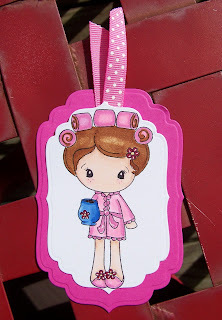 I`m always losing bookmarks :) Beautiful card! !